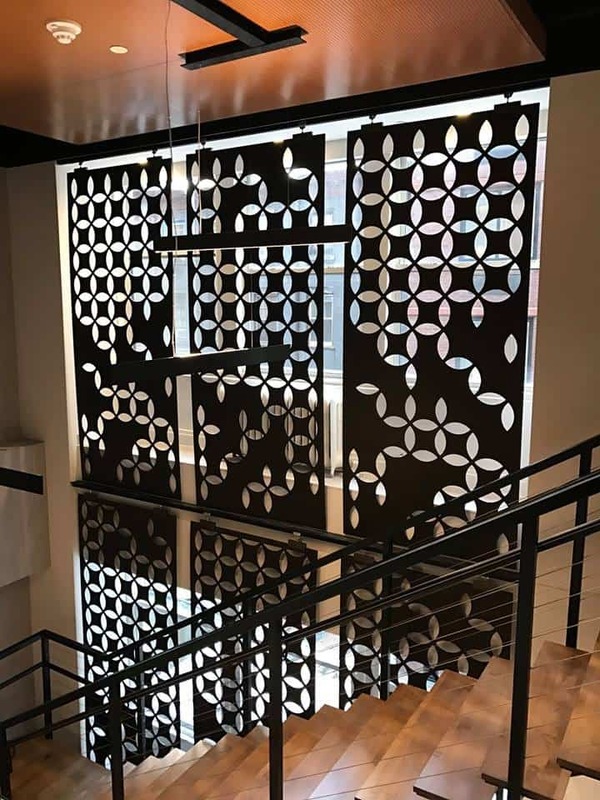 Textile designer turned metalsmith, Annie Kantor, owner of AJK Design Studio, elevates unsightly air ducts and metal vents to the level of artistic elements with her collections of laser-cut metal grilles, panels and ceiling squares. 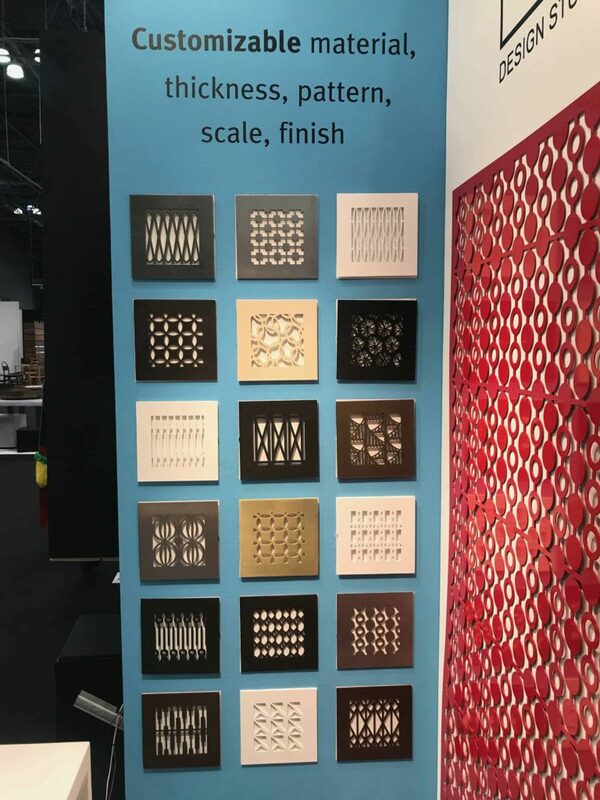 I discovered Kantor’s work at ICFF, The International Contemporary Furniture Fair, a compilation of what’s best and next in contemporary design and luxury interiors. Annie Kantor is one of several designers that I singled out to explore the depths of her creativity in my series Inside Design Minds. Let’s meet Annie and her muse. 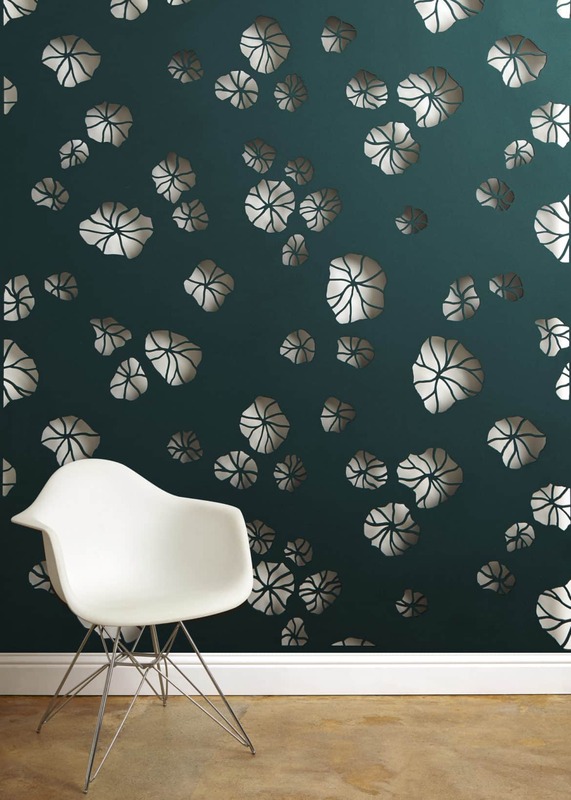 What inspired you to focus your work from textile design to metal? Well, I was in the middle of a personal remodel project here in California. We have a very old house, and I could not find any beautiful or period metal work which fit into our aesthetic. We had a huge duct opening right in our entrance way, and I wanted something beautiful and fitting with the house. Nothing more beautiful than the original metal vents so I scoured flea markets, and antique stores but could not find anything suitable for our size. 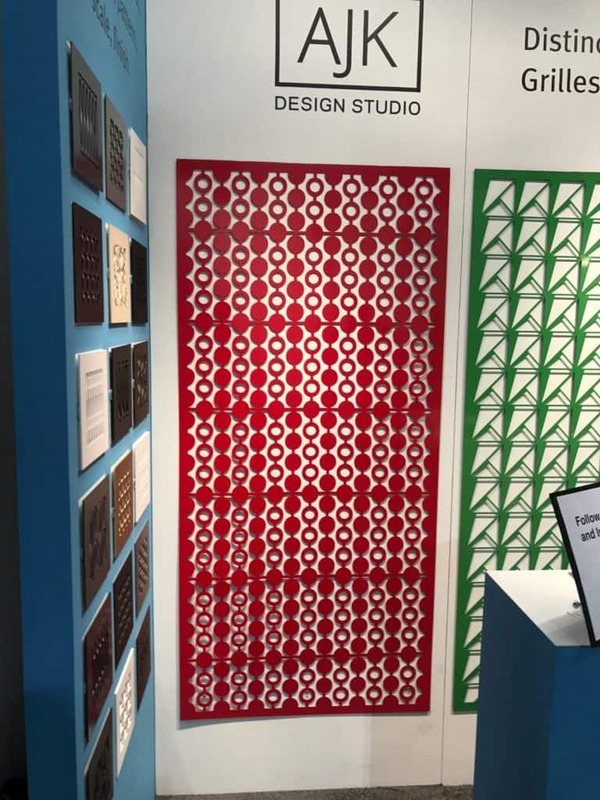 Something made me remember a woven I designed for Maharam (I was head of custom studio there, designing upholstery fabrics) which was inspired by the elevator shaft in a Louis Sullivan building in Chicago. From memory, I started drawing and adapting the pattern on carbon paper and sent my design across the country to see who could laser cut this in metal. Two years later, I refined and developed a product I felt comfortable putting my name on. I felt this was a new and needed niche in the industry. 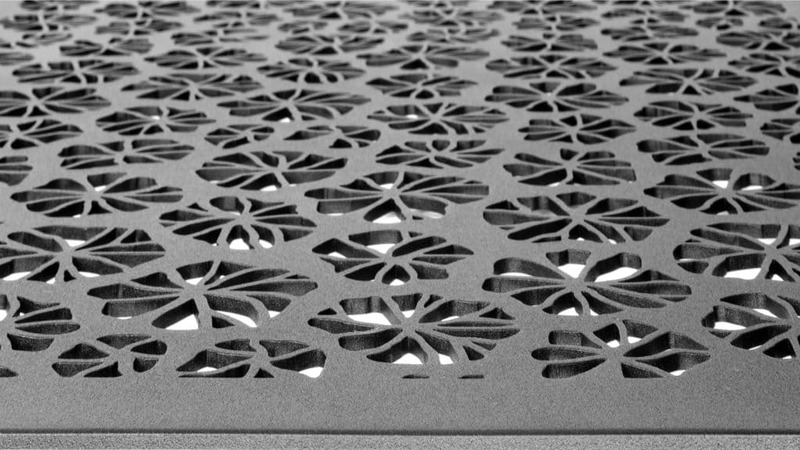 As soon as I started working with the laser cutters, I felt challenged and excited to see if I could adapt my repeating pattern sensibilities in such a non-forgiving material such as steel. I purchased a textile design program, Pointcarre, with money my grandmother left me (she was a prolific artist and I knew she’d be happy with me using the money in this way), and started designing. It is tricky because I am used to dealing with layers of yarn, and not solid steel. The designs need to be graphically strong, and take into account balancing opening areas with closed. I designed many at the beginning which would simply fall apart because I forgot it all has to connect and be stabilized. I love the technical challenge of creating strong design, in metal. I like to push the limits. My designs are not conventional. Similarly, I enjoyed designing wovens for panel fabrics, the challenge of creating something visually appealing in 100% polyester. Did you see an opportunity for a design niche? I noticed in many high-end hospitality and residential venues, almost every detail was attended to, but then there would be a very utilitarian, plastic not so attractive vent begging to be changed. I feel that this attention to detail is one that is easy and affordable to change, and has the potential to make huge difference in the space, one in which every detail matters. 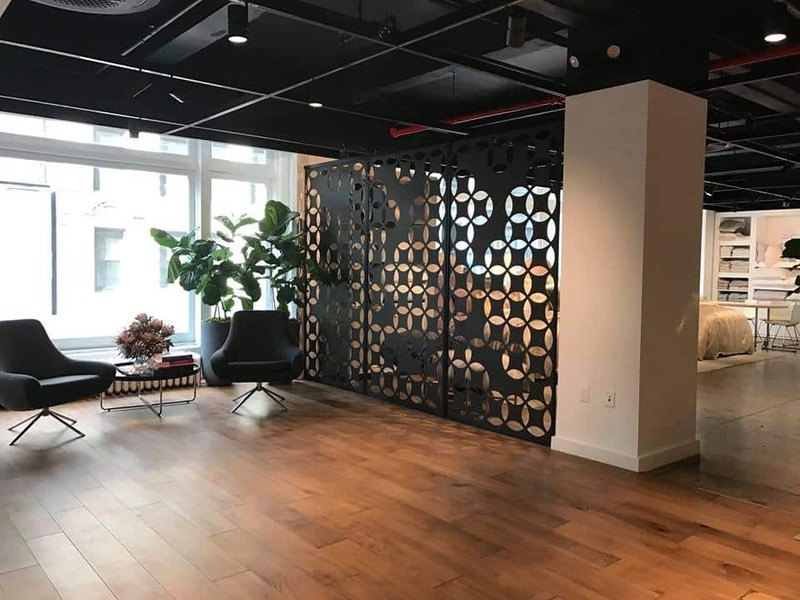 Also, so much fun for designers and architects to customize their space with a distinctive design in an unexpected place! How do you envision panels being used in a living space? 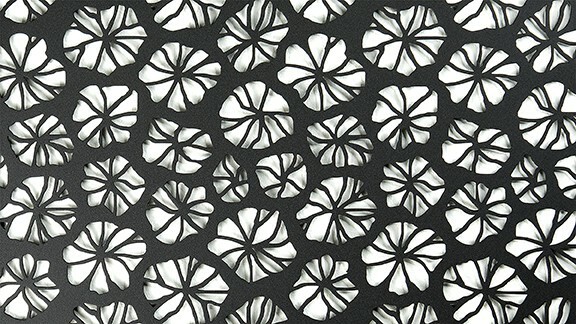 Decorative wall coverings…the texture and solidity of metal is interesting and even surprising against a wall. We can make these in thin gauges as well, so they are not too heavy. The negative spaces in the designs can be played with by changing the background on the wall with paint, felt, glass, light, colors and textures. Another use is screen dividers, or doors. Clients want to use these on staircases, fire places, table tops, and accent pieces. I will be introducing new collections of patterns twice a year. I am having so much fun designing these, and love turning my inspiration into finished designs. Kamakura, my most recent collection, was particularly exciting for me because I wanted to create an organic feel in metal, to capture the fluidity of the water lilies as they moved through the water. Movement in metal!